Decoding is an important skill when it come to reading. Decoding is how children figure out unfamiliar words by using what they know about the relationships between letters and sounds. For example, when you see the letter “b,” you know it represents the sound <b>. Words that adhere strictly to the rules of phonics are considered phonetically regular. Although only about half the words in the English language are perfectly regular, it’s not true that, as some have argued, phonetic decoding is a useless skill. In fact, of the approximately 50% of words that are “irregular,” about 36% differ in only one speech sound and most of the rest use combinations of established patterns. For example, an initial <f> sound may be spelled “f” or “ph.” The “gh” combination can occasionally be used for the <f> sound, but not at the beginning of a word. Only about 4% of words don’t adhere to the rules at all. When you look at it that way, the importance of decoding becomes clear. Today, I’d like to share a fun activity you can use to help you children practice their decoding skills. 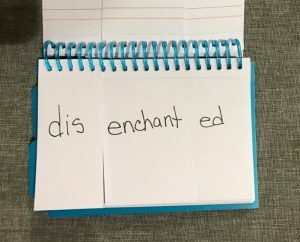 It’s a phonics flip book. It’s a versatile activity that can be adapted for use with beginning readers, developing readers, and children with special needs. 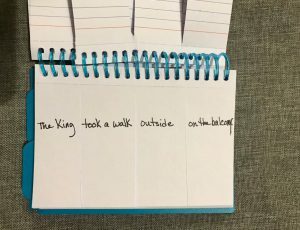 Here’s the index card book I started with. Let your child decorate the book using stickers, felt pieces, metallic pens, mosaic pieces made from construction paper, or decorative materials of choice. 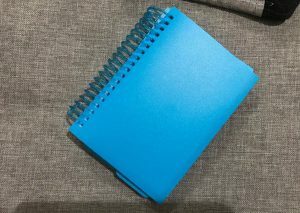 Open the book and cut the stack of cards into four equal strips. The best way to do this is to lightly mark the cutting lines, then cut a few cards at a time, making sure they line up. 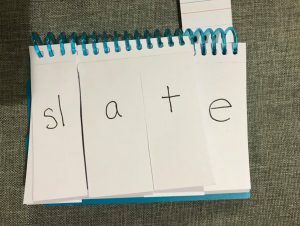 When you have your four strips, use a Sharpie or marker to write single letters, vowel combinations, and blends on the strips, according to the chart below. 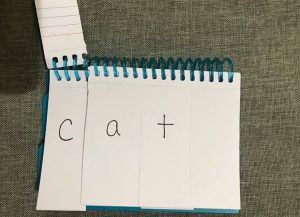 Your child can mix and match the strips to make new words. 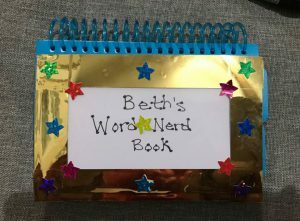 Two or more children can make a game of it by taking turns making words for each other to read and awarding a point per word successfully read. This is a very adaptable activity. If your child is new to reading, you can start with simple c-v-c words, like cat, dog, pet, and pug. As the child progresses, you can add blends and digraphs, alternate vowel patters, the “magic e” rule for making the long vowel sound. 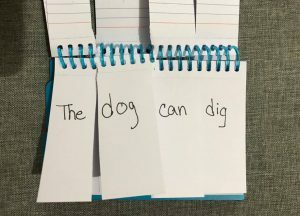 From there, you can add prefixess, suffixes, or favorite words and phrases to mix and match sentences. 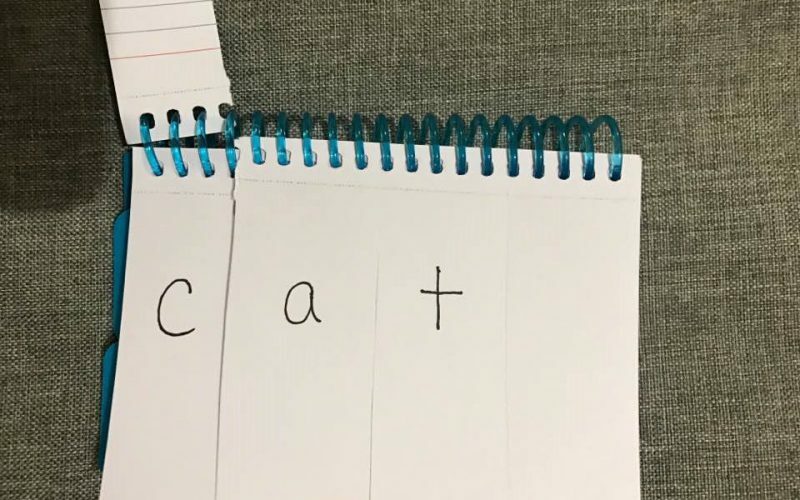 This little flip book is a tiny step toward creating a new generation of proud word nerds.